Perth, Aug 19, 2011 (Global Fashion Wire) - The Third International Conference of Fashion Incubators will be held at the Parmelia Hilton in Perth from the 11th until the 13th of September 2011. Janelle Mannes from Trend Consultancy Stylesight Asia Pacific will be addressing the conference on 'Megatrends Spring/Summer 2013'. The conference is being hosted by community organisations Textile Clothing Footwear Resource Centre of WA (TCFWA), designedge Fashion Incubator, TCF Global and the Belmont Business Enterprise Centre (BEC). These organisations provide those in the fashion, TCF creative industries access to business workshops, online mentoring, forums, industry cluster networks, and national and global linkages to other small businesses operating in the textile, clothing, footwear & leather industry across Australia and around the globe. Conference Convenor, Carol Hanlon said "Janelle Mannes from Stylesight will talk about what's to come in terms of major fashion themes and colour trends for all markets for the spring/summer 2013 season. She will give an exclusive presentation highlighting the overarching theme for spring/summer 2013 and all the influencers that will inspire the complete design journey". 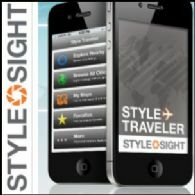 Janelle Mannes is Stylesight's Associate Trend Director for the Australia/New Zealand region. She joined Stylesight in June 2009 as a Site Genius based in the Melbourne, Australia office, and was promoted to Associate Trend Director/Site Genius in the fall of 2010. In her new role, Janelle assists Stylesight clients with analysing the essential and directional trends most relevant for their brands. With over nine years of experience working in the apparel and fashion industry, Janelle has previously worked in fashion retail and marketing for high-end Australian and International designer brands including Sass and Bide, Lisa Ho, Willow, and Kirrily Johnston. She also worked as a Store Manager and Assistant Buyer.